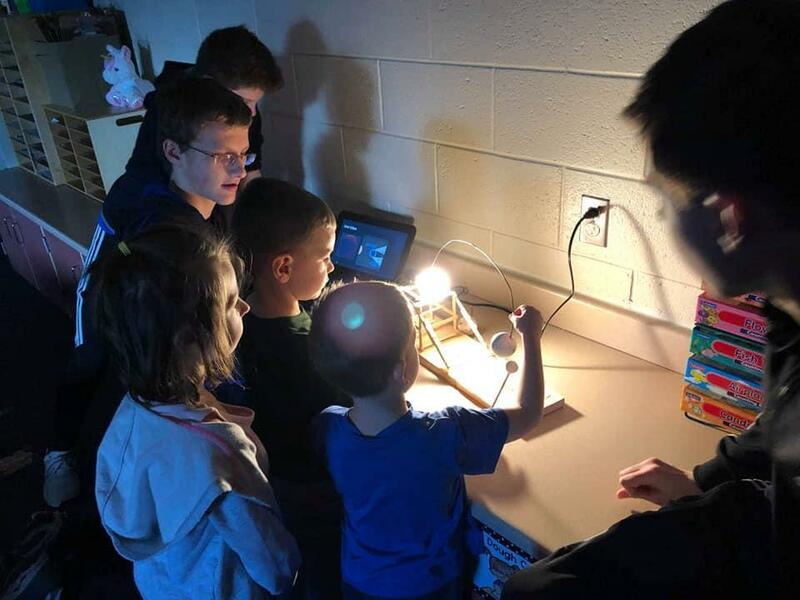 OMS STREAM students, who spend the majority of their classroom time outdoors, are learning about the science of solar and lunar eclipses and seasons. To make their learning come to life, they’re partnering with our Learn ‘n Grow preschool to create lessons for them. 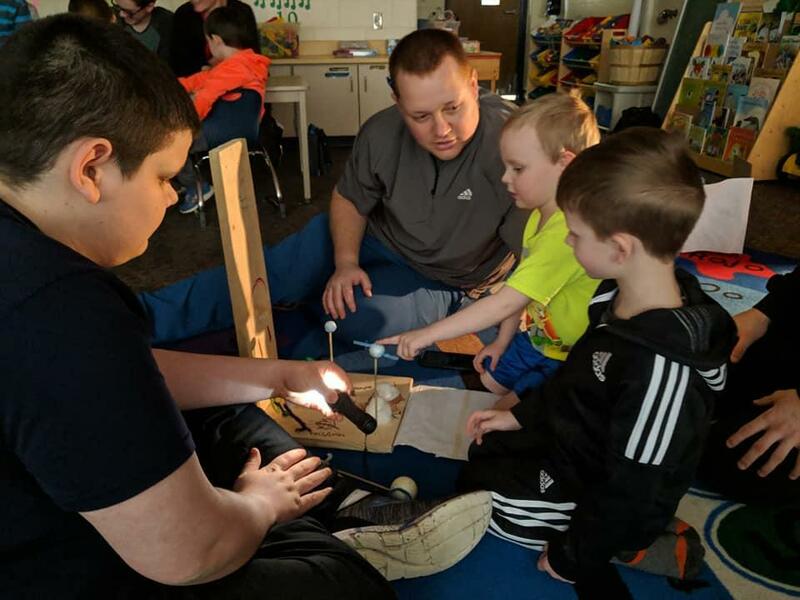 Having to explain the concepts to our youngest learners, helps the middle school students fully understand the topic. They’re developing activities and visuals with their lessons. The middle school students first visited with the preschool students to talk about the subject and get an idea of the best way to teach them. 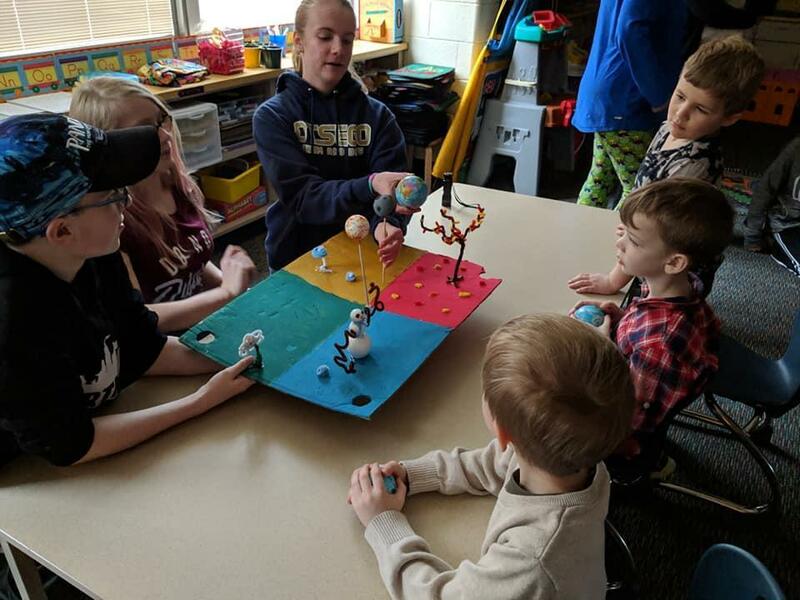 Back in the classroom, they created models and interactive displays that they then took back to the preschoolers to demonstrate the concept. This particular project went great and both groups of students really enjoyed it. “I’m hoping to build upon this relationship for future events, before the end of the year and into next year, as well,” Akire adds.